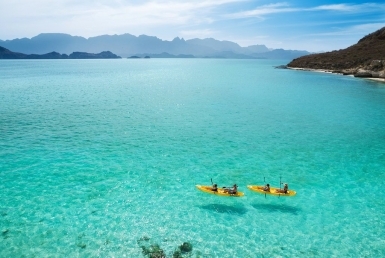 If you’re picturing living in stunning Loreto, there are now so many more options for water lovers, especially boat owners. 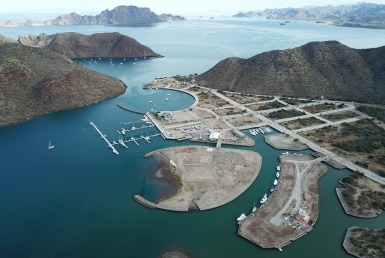 The harbor and real estate development at Marina Puerto Escondido is expanding, offering more luxury housing options in tandem with additional (and larger) slips for boat owners. Over the past year, the marina has undergone major improvements so that boats with a draft of 12 feet or more can comfortably enter, while also offering natural hurricane protection with an almost 360 degree land shield. And recently, 100 new slips along with fueling stations became available for additional yachts. 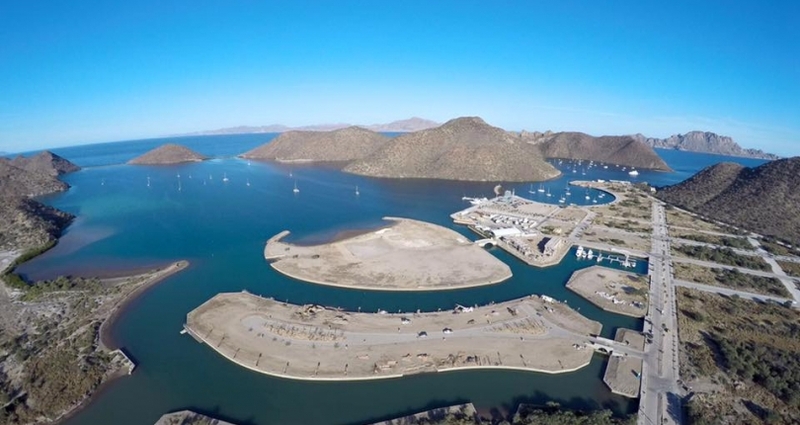 Marina Puerto Escondido is just a 15-minute drive from Loreto’s International Airport and will offer a combination of luxury home sites, private docks, and access to premium concierge services as well as water sports and outdoor adventures such as world-famous charter fishing. This first phase of this exclusive waterfront community includes 19 breathtaking island lots for custom homes, each with a private state-of-the-art dock for yachts up to 100 ft. This real estate development named “Waicuri” now has its first luxurious 6,000 square foot model home, “Palo Blanco,” ready for viewing. Designed by architect Ricardo Sanchez, Palo Blanco has three levels, 4 bedrooms and 4.5 bathrooms (plus a half bath on roof deck). The residence, which also has a private boat dock, also contains a two-car garage, plus storage for water toys and an infinity pool, jacuzzi and a rooftop deck. Waicuri’s master plans also include developing the second island within the natural bay that will be subdivided into additional canal front lots for private homes with docks, as well as plans for a beachfront boutique hotel. Beyond the islands, Marina Puerto Escondido will include waterfront condominiums and expanded marina facilities. 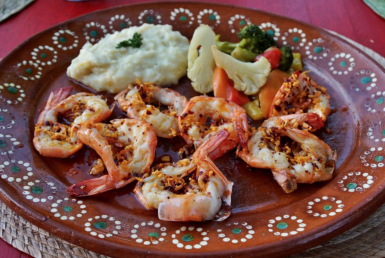 If you’re interested in purchasing a home at Marina Puerto Escondido, contact us here at OutPost Realty. If you’re not a Mexican citizen and aren’t sure how you can own property here, you can read our blog post with tips for foreign buyers, or just call me directly and I’m happy to answer all your questions. As a U.S. expat myself, I love to help people navigate the through the process. Call 949-836-0073 / 613-113-8218 or email me at [email protected]. Let’s talk about how we can work together to make your Loreto dream, a reality!